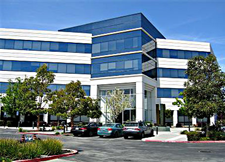 TLG Expansion: New San Francisco Bay Area Office! The Tinnelly Law Group is proud to announce the opening of its newest office location in San Mateo, California. The opening of the San Mateo office is in response to our rapidly expanding San Francisco Bay Area client portfolio. Our attorneys and staff are already beginning to enjoy the working relationships we are developing with our Northern California HOA clients and their management. Our new San Mateo location will assist in providing them with the responsive and personalized service for which we are known. We thank all of our clients and industry partners for their continued support.